Ray Milland (3 January 1907 – 10 March 1986) was a Welsh actor and director. His screen career ran from 1929 to 1985, and he is best remembered for his Academy Award-winning portrayal of an alcoholic writer in The Lost Weekend (1945), a sophisticated leading man opposite a corrupt John Wayne in Reap the Wild Wind (1942), the murder-plotting husband in Dial M for Murder (1954), and as Oliver Barrett III in Love Story (1970). Before becoming an actor, Milland served in the Household Cavalry of the British Army, becoming a proficient marksman, horse-rider, and aeroplane pilot. He left the army to follow a career in acting and appeared as an extra in several British productions before getting his first major role in The Flying Scotsman (1929). This led to a nine-month contract with MGM and he moved to the United States where he appeared as a stock actor. After being released by MGM, he was picked up by Paramount, who used Milland in a range of lesser speaking parts, normally as an English character. He was loaned out to Universal for a film called Three Smart Girls (1936), and its success saw Milland given a lead role in The Jungle Princess (also 1936) alongside new starlet Dorothy Lamour. The film was a big success and catapulted both to stardom. Milland remained with Paramount for almost 20 years, and as well as his Oscar-winning role in The Lost Weekend, he is remembered for the films The Major and the Minor (1942), The Big Clock (1948), and The Thief (1952), the last of which saw him nominated for his second Golden Globe. After leaving Paramount, he began directing and ended his career moving into television. Milland, who was at one time Paramount Pictures' highest paid actor, co-starred alongside many of the most popular actresses of the time including Gene Tierney, Grace Kelly, Lana Turner, Marlene Dietrich, Ginger Rogers, Jane Wyman, Loretta Young and Veronica Lake. Milland was born Alfred Reginald Jones (not Reginald Alfred John Truscott-Jones as has often been stated). His birth was registered between January and March 1907, in Neath, Glamorgan, Wales, though some sources still state 1905 as his birth year. He was the son of Elizabeth Annie (née Truscott) and Alfred Jones. In the 1911 census, the family was living at 66 Coronation Road, Mount Pleasant, Neath, Wales. Of his parents, Milland wrote in his autobiography Wide-Eyed in Babylon (1974): "My father was not a cruel or harsh man. Just a very quiet one. I think he was an incurable romantic and consequently a little afraid of his emotions and perhaps ashamed of them... he had been a young hussar in the Boer War and had been present at the relief of Mafeking. He never held long conversations with anyone, except perhaps with me, possibly because I was the only other male in our family. The household consisted of my mother, a rather flighty and coquettish woman much concerned with propriety and what the neighbours thought." He was educated independently before attending the private King's College School, now Kings Monkton School, in Cardiff. He worked at his uncle's horse-breeding farm before leaving home at the age of 21. His first appearance on film was as an uncredited extra on the E.A. Dupont film Piccadilly (1929). After some unproductive extra work, which never reached the screen, he took on the agent Frank Zeitlin on the recommendation of fellow fledgling actor Jack Raine. It was his reputed prowess as a marksman that earned him work as an extra at the British International Pictures studio on Arthur Robison's production of The Informer (1929), the first screen version of the Liam O'Flaherty novel. While he was working on The Informer he was asked to test for a production being shot on a neighbouring stage. Milland made a good impression on director Castleton Knight and was hired for his first acting role as Jim Edwards, in The Flying Scotsman (also 1929). Milland, in his autobiography, recalls that it was on this film that it was suggested he adopt a stage name; and chose Milland from the Mill lands area of his Welsh home town of Neath. His work on The Flying Scotsman had impressed enough for him to be given a six-month contract, in which Milland starred in two more Knight directed films, The Lady from the Sea and The Plaything (both 1929). Believing that his acting was poor, and that he had won his film roles through his looks alone, Milland decided to gain some stage work to improve his art. After hearing that club owner Bobby Page was financing a touring company, Milland approached him in hope of work. He was given the role of second lead, in a production of Sam Shipman and Max Marcin's The Woman in Room 13. Despite being released from the play after five weeks, Milland felt that he had gained valuable acting experience. In between stage work, Milland was approached by MGM vice-president Robert Rubin, who had seen the film The Flying Scotsman. MGM offered Milland a nine-month contract, based in Hollywood, and he accepted, leaving the United Kingdom in August 1930. MGM started Milland out as a 'stock' player, selecting him for small speaking parts in mainstream productions. Milland's first introduction to a Hollywood film resulted in a humiliating scene on the set of Son of India (1931), when the film's director Jacques Feyder berated Milland's acting in front of the entire crew. Despite this setback, the studio executives talked Milland into staying in Hollywood and in 1930 he appeared in his first US film Passion Flower. Over the next two years, Milland appeared in minor parts for MGM, as well as a few films loaned out to Warner Brothers, often uncredited. His largest role during this period was as Charles Laughton's nephew in Payment Deferred (1932). While in this first period working in the United States, Milland met Muriel Frances Weber, who he always called "Mal", a student at University of Southern California. Within eight months of first meeting, the two were married on 30 September 1932 at the Riverside Mission Inn. The couple had a son, Daniel, and a daughter, Victoria (adopted). Shortly after Payment Deferred, Milland found himself out of work when MGM dropped their option to renew his contract. He spent five months in the US attempting to find further acting work, but after little success, and a strained relationship with his father-in-law, he decided to head back to England hoping that two years spent in Hollywood would lead to roles in British films. Milland cashed in his contracted first-class return ticket to Britain and found an alternative cheaper way back home. Muriel remained in the States to finish her studies, and Milland found temporary accommodation in Earl's Court in London. Milland found life in Britain difficult with little regular work, though he finally found parts in two British films, This is the Life and Orders is Orders (both 1933). Neither were breakthrough roles. Then, in 1933, Roosevelt's reforms to the American banking sector led to a temporary weakness in the dollar allowing Milland to afford a return to the United States. He returned to California, and found a small flat on Sunset Boulevard, promising Muriel that he would buy a home once he was financially stable. With little prospect of finding acting work, Milland took on menial jobs including working in a bookie's. He decided to find regular employment and through connections made in his time in England, he was offered the role of an assistant manager of a Shell petrol station on Sunset and Clark. On his return from his successful Shell interview he passed by the gates of Paramount Pictures, where he was approached by casting director Joe Egli. Paramount were filming a George Raft picture Bolero (released in February 1934), but an injury to an English actor had left the studio looking for an urgent replacement. Egli offered Milland a two-week contract, at ten times the salary the assistant job would pay. Milland took the acting role. After completing Bolero, Milland was offered a five-week guarantee by Benjamin Glazer to work on an upcoming screwball comedy starring Bing Crosby and Carole Lombard entitled We're Not Dressing (also 1934). During filming he appeared in a scene with George Burns and Gracie Allen, which Milland recalls as falling into an "ad-libbed shambles", which he felt was better than the original script. The film's director Norman Taurog was so impressed that he rang the chief production executive and suggested that Milland be placed on a long term contact. After a short meeting, Milland was offered a seven-year deal with Paramount. The contract gave Milland a secure income and he and Muriel moved into an apartment on Fountain. During his first contract with Paramount, Milland was used as part of the speaking cast, but never as a top of the bill actor. He was contacted by Joe Pasternak who was looking for an 'English' actor for the lead in his new picture, Three Smart Girls (1936). 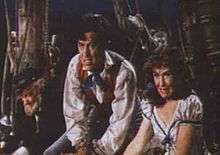 Although Pasternak worked for Universal Studios, Paramount had agreed to loan Milland out for the film. Milland was loaned out to Universal for Next Time We Love (also 1936), with James Stewart and Margaret Sullavan. On returning to Paramount after Three Smart Girls was wrapped, Milland was again cast in bit-part roles. He was then used as a test actor to find a new starlet for The Jungle Princess (also 1936). When the studio chose Dorothy Lamour for the lead, Milland wrote in his autobiography that Lamour was confused to find that he was not to be her male lead and she requested Milland to be her co-star. Paramount were not keen, but when Three Smart Girls was released to rave reviews they gave Milland the role. By the end of 1936, Milland was being considered for leading roles, and Paramount rewrote his contract, resulting in the tripling of his salary. After returning from a break in Europe, Milland was cast as Captain Hugh "Bulldog" Drummond in Bulldog Drummond Escapes (1937). This was followed by another lead role in Gilded Lily, directed by Wesley Ruggles who had started Milland out in Bolero. A heavy work load followed with Milland completing Ebb Tide (1937) for Paramount and a couple of loan-outs to Universal and Columbia Pictures. These were followed by Hotel Imperial (1939) in which Milland suffered a near-fatal accident on the set. One scene called for him to lead a cavalry charge through a small village. An accomplished horseman, Milland insisted upon doing this scene himself. As he was making a scripted jump on the horse, his saddle came loose, sending him flying straight into a pile of broken masonry. Milland awoke in hospital where he remained for a week with a badly damaged left hand, a three-inch gash to his head and concussion. Milland completed 1939 with an appearance as John Geste in Beau Geste alongside Gary Cooper and Robert Preston and Everything Happens at Night (1939) with Sonja Henie for 20th Century Fox. According to Milland, 1939 also resulted in a second injury to his left hand. As well as horse riding Milland enjoyed piloting aircraft and in his early career would loan out single-seater planes. As a contracted starring actor Paramount had insisted he give up this hobby. Instead Milland took up woodworking and outfitted a machine shop at the back of his newly built house. While operating a circular blade, he slipped catching one of his hands on the saw. The injury resulted in Milland losing a part of his thumb and severely damaging his tendons. Milland believed that the injury left him with only 50 percent usage of his hand, but within weeks of the incident he flew to Britain to star in French Without Tears. By the time he returned to America, war was declared in Europe. The year finished with the news that Muriel was pregnant with their son Daniel. Milland's first concern with taking on the role of Don Birnam in The Lost Weekend was that he might overact and look amateurish. After a shambolic attempt to act parts of the script while actually drunk Milland quickly realized that he needed to understand alcoholism. After the cast and crew had arrived on location in New York, Milland was allowed to spend a night in a psychiatric ward of Bellevue Hospital where the patients were suffering from alcoholism and delirium tremens. He found the experience extremely disturbing and left at three in the morning. Milland lost eight pounds for the role and spoke with the book's author Charles R. Jackson to gain insight into the illness. 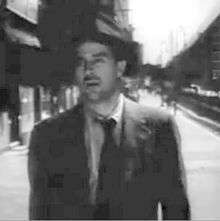 After the external shots in New York were complete, in which hidden cameras were used to capture Milland walking the streets, the crew returned to Hollywood. Milland found the set work far more challenging, knowing that the close-ups would give his acting no place to hide. Between the strain of acting and the morbidity of the subject, Milland's home life deteriorated and he left for a period of two weeks. When the shoot was over, he and Muriel left for a vacation in Canada. Returning to filming, Milland was assigned to a historical drama called Kitty. This was followed by a romantic caper The Well-Groomed Bride opposite Olivia de Havilland. Many of the crew members on The Well-Groomed Bride had also worked on The Lost Weekend, and Milland recalled an encounter with a sound mixer who told him he had seen a rough cut of Weekend and that not only was Milland a sure nomination for an Academy Award, but he thought he would win. Milland had not considered himself worthy of an award but over the next few months he thought of little else, and was desperate to be nominated. After the first preview, reaction was mixed with Brackett stating that they had produced "something really worthwhile". Milland found the feedback to his role congratulatory but hushed, leading him to feel the film would bomb as a piece of cinema and would be seen as a social document. When the film was released in New York, the favourable reviews took the studio by surprise. Milland was lauded and he not only won that year's Academy Award for Best Actor but also the Cannes Film Festival Award for Best Actor, the National Board of Review Award for Best Actor and the New York Film Critics Circle Award for Best Actor. He was the first Welsh actor to win an Oscar and when he collected the award from Ingrid Bergman he gave one of the shortest acceptance speeches of any Oscar winner. His performance was so convincing that Milland was beleaguered for years by rumours that he actually was an alcoholic. The actor claimed he was not. Milland continued in his role as lead man after his Oscar win, and stayed contracted to Paramount until the early 1950s. In the late 1940s he appeared opposite Marlene Dietrich in Golden Earrings (1947) and Teresa Wright in The Trouble with Women. During the same period he starred in four John Farrow pictures, California (1947), The Big Clock (1948), Alias Nick Beal (1949), and Copper Canyon. He also worked with George Cukor who directed him in A Life of Her Own alongside Lana Turner. After leaving Paramount Milland concentrated on directing. His first, a 1955 Western entitled A Man Alone centered around the aftermath of a stagecoach robbery. This was followed by Lisbon; a crime drama starring Maureen O'Hara and Claude Rains. Both films were distributed by Republic Pictures. Due to his experience as a film director, he achieved much success directing for television. He also made many television appearances. He starred from 1953 to 1955 with Phyllis Avery and Lloyd Corrigan in the CBS sitcom Meet Mr. McNutley in the role of a college English and later drama professor at fictitious Lynnhaven College. The programme was renamed in its second season as The Ray Milland Show. From 1959 to 60 Milland starred in the CBS detective series Markham, but the programme failed to capture an audience even though it followed the hit western Gunsmoke. He made few films in the early 1960s but of those he appeared in, three have become cult classics. He appeared in two Roger Corman pictures; the first was The Premature Burial (1962) – the third of Corman's 'Poe Cycle'. He followed this as Dr. Xavier in X: The Man with the X-Ray Eyes (1963). The third of these cult favourites was his self-directed, apocalyptic sci-fi drama Panic in Year Zero!. He returned as a film character actor in the late '60s and the '70s, notably in the cult classic Daughter of the Mind (1969), in which he was reunited with Gene Tierney, and in the role of Oliver Barrett III, in both Love Story (1970) and its sequel Oliver's Story (1978). In the late 1960s, Milland hosted rebroadcasts of certain episodes of the syndicated Western anthology series, Death Valley Days under the title Trails West; the series' original host had been Ronald Reagan. He also turned in an appearance as a hand surgeon in the Night Gallery episode "The Hand of Borgus Weems." Toward the end of his life, Milland appeared twice as Jennifer Hart's father in ABC's Hart to Hart, with Robert Wagner and Stefanie Powers. He appeared in two episodes of Columbo (once as the murderer), in 1971 and 1972, and guest starred as Sire Uri in the pilot episode of the original Battlestar Galactica television series. Milland was married to Muriel Frances Weber, from 1932 until his death in 1986. They had a son, Daniel (b.1940) and an adopted daughter, Victoria. Milland had an affair with co-star Grace Kelly, whilst filming Dial M for Murder. Milland died of lung cancer in Torrance, California, on 10 March 1986, aged 79. He was survived by his wife, the former Muriel Weber, and his daughter. 1 2 "Ray Milland dies". Montreal Gazette. Associated Press. 11 March 1986. p. B-5. ↑ "Index entry". FreeBMD. ONS. Retrieved 29 February 2012. ↑ Flint, Peter B. (11 March 1986). "Ray Milland dies; won Oscar for 'Lost Weekend'". New York Times. Retrieved 2 December 2014. ↑ Asghar, Mohammed (1 September 2011). "Hollywood star Ray had close links with capital". Wales Online. 1 2 3 4 Flint, Peter B. (11 March 1986). "Ray Milland Dies". nytimes.com. Retrieved 8 July 2013. ↑ "Orders Is Orders (1933)". BFI Film Forever. Retrieved 19 August 2016. . This film was released in the United States in May 1934, which some sources follow. ↑ "2011 National Film Registry More Than a Box of Chocolates". loc.gov. Retrieved 7 July 2013. ↑ Arnold, Jeremy. "Kitty". tcm.com. Retrieved 30 September 2016. 1 2 Davies, John; Jenkins, Nigel; Menna, Baines; Lynch, Peredur I., eds. (2008). The Welsh Academy Encyclopaedia of Wales. Cardiff: University of Wales Press. p. 557. ISBN 978-0-7083-1953-6. ↑ Rosenthal, Donna (24 April 1987). "The Private Eyeful Of Grace Kelly The Biographer Telling Tales Of Problems In The Past – And In The Palace". philly.com. Retrieved 14 December 2013. ↑ Wallis, Sara (14 April 2007). "Grace Kelly Exposed". mirror.co.uk. Retrieved 14 December 2013. ↑ Norman, Neil (27 June 2009). "Grace Kelly; Innocent flirt or nymphomaniac". express.co.uk. Retrieved 14 December 2013. ↑ Churcher, Sharon (26 January 2013). "Lonely and desperate, how Grace Kelly tried to escape her cruel sham of a fairytale marriage". dailymail.co.uk. Retrieved 25 January 2014. ↑ Wallis, Sara (14 April 2007). "Grace Kelly Exposed". mirror.co.uk. Retrieved 25 January 2014. ↑ "Ray Milland, Ann Todd, Co-Star on 'This Is Hollywood' Premiere Tonight". Harrisburg Telegraph. October 5, 1946. p. 17. Retrieved October 2, 2015 – via Newspapers.com.